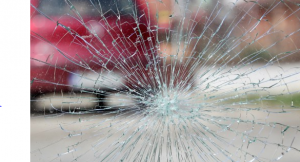 Lake Worth Man Sues Over Death Of Wife, Dalia Jimenez, In Head-On Collision | Schuler, Halvorson, Weisser, Zoeller & Overbeck P.A. The husband of a 49-year-old Lake Worth woman, who died in a head-on collision on 10th Avenue North, is suing the estate of the man who also died in the crash. In the lawsuit filed in Palm Beach County Circuit Court, the widower claims the late man was negligent in the accident that claimed the life of a 45-year old Dalia Jimenez. He is suing the 33-year old man’s estate and the late Greenacres man’s employer. The company owned the truck he was driving. The woman is seeking an unspecified amount in damages, according to the lawsuit filed by an attorney. According to Palm Beach County sheriff’s deputies, the 33-year-old was driving a 2008 Chevrolet pickup west on 10th Avenue North near John I. Leonard High School in Greenacres when the truck crossed into the eastbound lanes. The truck crashed head-on into the Mazda that the 49-year old woman was driving. Both the 33-year old, of Greenacres, and the 49-year old woman died. The man is also suing an employer in Delray Foodservice, in connection with the collision. The employer was driving a box truck behind his wife’s Mazda, deputies said. It was also involved in the crash. He is accusing the 54-year-old employer of negligence, claiming he was speeding and following too closely. Deputies concluded the 33-year old driver was speeding and therefore responsible for the crash.